HPI E10 DRIFT CAR [Radio Gear] Genuine HPi Racing R/C Standard & Hop-Up Parts! 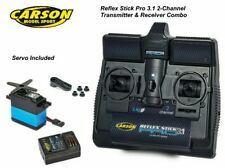 Carson Radio RC Car Radio Combo System. 1 x 3kg/cm force Servo. 1 x 4-Channel Receiver. We will always find the cheapest quote based on the weight of your item. Item type: 90102G transmitter. 1 x Transmitter. fit most RC cars. Suit for: RC car/boat. low power consumption and high sensitivity of the receiver. Antenna: internal antenna is housed he radio's plastic case. 2.4 GHz system: AFHDS 2A. 2.4 GHz protocol: AFHDS 2A. 1 x Flysky FS-GT5 2.4GHz transmitter. Channels: 6CH. 6 String Roller Saddle Bridge Tailpiece Kits For LP Electric Guitar Tune-O-Matic. 1/5 RC Car Skid Plate Guard Chassis Armor Stainless Steel For TRAXXAS X-MAXX. Onisiki 2.4GHz 2 Channel 2.4Ghz Transmitter (1 pc). Onisiki 3 Channel 2.4GHz Receiver (1 pc). Transmitter Channels: 2 Channels. Suitable for drift or race car, mini car, crawler or truck or boat. Transmitter Colour: Black and Red. FlySky FS-IT4S Sliver 2.4GHz 4CH AFHDS 2A Radio System Transmitter For Boat Car. Flysky 2.4Ghz Receiver. Aluminium alloy steering wheel. Latest AFHDS2A system. FS-CEVO4 Asbus receiver. The pictures are reference only. Suitable for WPL B-14 B-14K B-24 B-24K B-16 B-16K C-14 C-14K C-24 C-24K B-36 B-36K, MN90 MN90K MN91 MN91K. - Gear: CNC copper gear. - Motor: carbon brush motor. - Steering system: 17g steering gear (steering sensitive and precise, fine-tuning). 1 Transmitter. 1 Receiver. 1 Instruction Manual. Note: The real color of the item may be slightly different from the pictures shown on website caused by many factors such as brightness of your monitor and light brightness. The SR3100 is designed to provide all the benefits of the new DSM2 technology available, which are applied. 1 × Mini receiver BLUE SR3100 DSM2 / DSM 2.4GHz 3-channel. This receiver has in addition to the many safety benefits of DSM also has an integral failsafe. 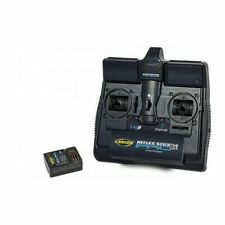 Flysky GT5 FS-GT5 2.4GHz 6CH RC Boat Car Radio System Transmitter with FS-BS6 Rx. 2.4 GHz system: AFHDS 2A. 2.4 GHz protocol: AFHDS 2A. 1 x Flysky FS-GT5 2.4GHz transmitter. Channels: 6CH. For WPL B14 B16 B24 Military Truck 1/16 RC Car DIY Upgrade Trailer Vehicle Model. Part : Transmitter Parts & Accessories. Transmitter Parts & Accessories. Function: support MP3, radio, SD card, U disk play. Bluetooth version: 2.0. Music format supported: MP3 / WMA / AAC / FLAC and other formats. 1 x Car mp3 player. Screen Type: LCD. Signal to noise ratio: 50dB. 2-Channel so will work with any other mainstream 27Mhz 2-channel AM R/C (e.g. Futaba, Acoms, Sanwa, Hitec etc) if you use a matching set of crystals. Transmitter only (no receiver / crystals / batteries included). Bluetooth version: 2.0. Function: support MP3, radio, SD card, U disk play. 1 x Car mp3 player. Music format supported: MP3 / WMA / AAC / FLAC and other formats. Screen Type: LCD. Signal to noise ratio: 50dB. Music format supported: MP3 / WMA / AAC / FLAC and other formats. Bluetooth version: 2.0. Function: support MP3, radio, SD card, U disk play. 1 x Car mp3 player. Screen Type: LCD. Signal to noise ratio: 50dB.